Toss a little Rolling Stone with a little Harvard Business Review, and you have the handbook of the business revolution. Presenting the latest in business news and trends, Fast Company Magazine covers leading-edge entrepreneurs and the fastest companies in business today. 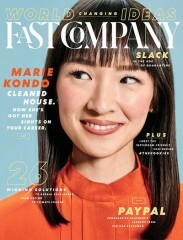 If you're looking for something other than a conservative business magazine, Fast Company is for you.